2008 was a horrific year for the hedge fund industry. Funds were folding left, right and center as panic-riddled investors pulled their money and returns plummeted. A number of high-profile funds shuttered their doors, while others were seemingly on the brink of collapse. The industry regained its footing in 2009 as the markets surged higher. The DJIA finished the year up 18.82%, the NASDAQ finished the year up 43.89% and the S&P 500 closed up 23.45%. The hedge fund industry recovered as well as investors became less nervous and more optimistic. The flow of money out of the hedge fund industry slowed and eventually reversed, and many funds were able to post large profits for the year. Three of the biggest hedge fund companies, SAC Capital International, Paulson Advantage Ltd. and Citadel Kensington Global Strategies Fund Ltd., managed to post very healthy returns in 2009. 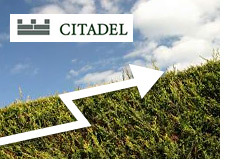 Citadel, which took an absolute beating in 2008 and was rumored to be on the ropes, posted a YTD return of over 61%, according to Dealbreaker.com. SAC Capital International, which has been dealing with problems of its own as of late, managed to post a YTD return of 28.39%. Paulson Advantage Ltd. continued to confound the skeptics last year, posting yet another healthy return (+13.75%), despite having billions upon billions of dollars under management. John Paulson has clearly not lost his Midas touch as of yet, and is currently one of the top two most influential investor/traders in the world (along with Warren Buffett). According to Hedge Fund Research, the entire hedge fund industry posted a return of about 20% in 2009. This came after a 19% drop the year before - a year which resulted in the demise of many companies in the industry. While the hedge fund industry may never regain the luster that it had just a few short years ago, 2009 was certainly a welcome respite from the massacre that was 2008.